For the first time in forty years, the story of one of America's most maligned cities is told in all its grit and glory. With its open-armed embrace of manufacturing, Newark, New Jersey, rode the Industrial Revolution to great prominence and wealth that lasted well into the twentieth century. In the postwar years, however, Newark experienced a perfect storm of urban troubles - political corruption, industrial abandonment, white flight, racial conflict, crime, poverty. Cities across the United States found themselves in similar predicaments, yet Newark stands out as an exceptional case. Its saga reflects the rollercoaster ride of Everycity U.S.A., only with a steeper rise, sharper turns, and a much more dramatic plunge. 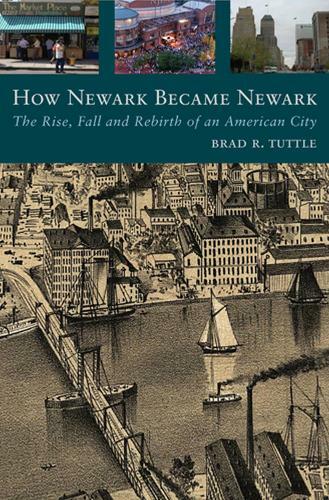 ""How Newark Became Newark"" is a fresh, unflinching popular history that spans the city's epic transformation from a tiny Puritan village into a manufacturing powerhouse, on to its desperate struggles in the twentieth century and beyond. After World War II, unrest mounted as the minority community was increasingly marginalized, leading to the wrenching civic disturbances of the 1960s. Though much of the city was crippled for years, ""How Newark Became Newark"" is also a story of survival and hope. Today, a real estate revival and growing population are signs that Newark is once again in ascendance.